Apple's component suppliers are spilling the bean, saying that the iPad 3 is gearing up for a trial production this October. Based on a Wall Street Journal report, Apple has ordered key components – like display panels and chips – for the iPad 3 — in hope to launch the device early next year. The next generation tablet is expected to feature a 2048 x 1536 high-resolution display. According to suppliers, Apple has placed orders for a 9.7-inch screen, and other smaller components have been shipped. Moreover, one component supplier revealed that the Cupertino-based company ordered parts for about 1.5 million iPad 3 units in Q4. Apple gained more than double its profit during the third quarter of 2010 after shipping 9.3 million iPad in Q3 of this year alone. From $3.25 billion, the company gained $7.31 billion this season. 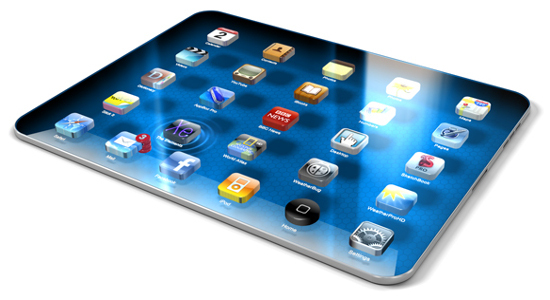 Apple's iPad 3, to Hit the Shelves by Thanksgiving? Apple Might Release New "iPad HD" This Fall?